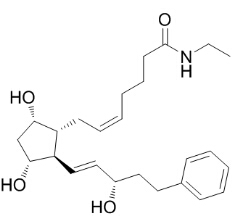 Bimatoprost is a potent FP receptor agonist that finds clinical use as an ocular hypotensive agent for the treatment of glaucoma. The DMF for Bimatoprost is on file with the US FDA and Canadian Regulatory Authorities. The DMF can also be submitted to EU member states as well as other non-EU countries upon request.